Every last friday of the month, I jump on the 'Merry go round'. 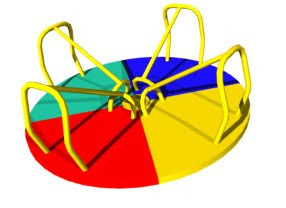 What is the Merry go round exactly? Each month, a group of craftswomen from around the world join together and give their reponses to the same question/challenge. The group has been extended with 2 new members: welcome Monika from Red2White and Laura from BlueTerracotta. The question to start off this year is: "What are your compass words for 2011". The "Compass words" refer to a little exercise (click on Renew, Reenergize, recommit...) that you can work through. I didn't do the excercise as I know the words I want to focus on. Let go of things that really do not matter (only I need to be remembered sometimes). Take a day off and not feel guilty. Eat more healthy & excercise a bit more. Read, crochet, sew & sit in the garden taking up the sun. Give new ideas a chance to actually come together. Take roadtrips to nowhere in particular & discover new places. Do something insanely crazy - or even more then one. January is nearly over already and I haven't even started on the 'let go' thing but I soon will. No gloomy posts about being tired and stressed but happy cheerful posts because that is really what I want life & me to be. And I know that as soon as I let go, it will happen!